And here is the color challenge, and card and layout sketches. I used the colors as well as the sketch, but just turned on it's side. Make sure and check out this weeks new releases and sales - buy one get one free sale! There is also a fun prize pack for comments left along the hop - or if you link up your project and hop along with us! I love the dimension on this card! So beautiful. Cool shadow! Love the heavy Glossy Accents! Easy Peasy! Love the glossy accents on the ornaments; really makes them seem like real glass! Wow beautiful card! Thanks for the tip! Wonderful Christmas card! Love the dimension, thanks for a great video! The glossy accents gives the ornaments a nice glassy look! Awesome ornament card! I love the glossy effect! Very cool ornaments with the 3-D look, Heather. I love it very beautiful. Love the Christmas card. I also like the glossy touch. Love the 3D effect on your card, so adorable! Such b an adorable card!!! Just love the 3D effect of the ornaments. A beautiful Christmas card! Awesome 3-D effect! Awesome card! I always forget about Crystal Accents. Very festive for the holidays. Such a darling card! Thanks for the technique vid! Love the glossy ornaments! Nice dimension! 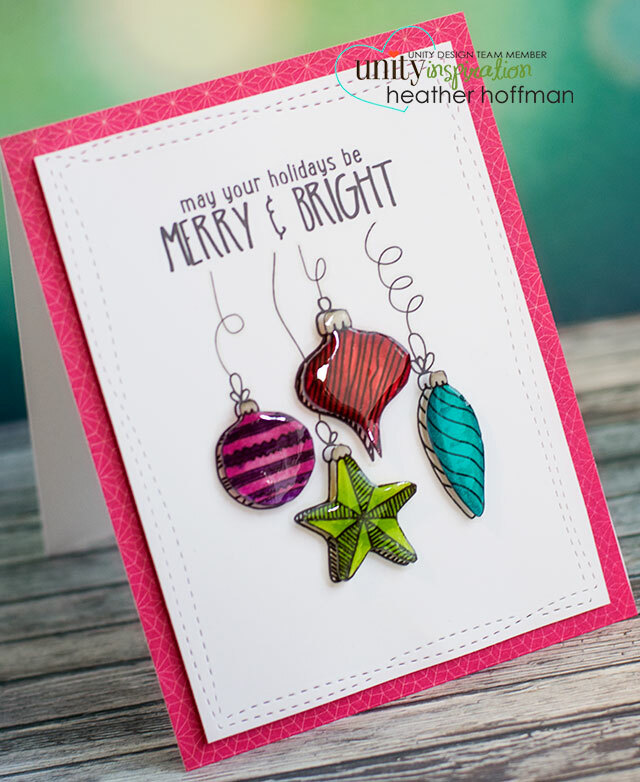 I am loving your merry and bright cards!! I looked ahead and the flower card is so fun and bright. Love the different colors you have used to make the flowers!! Ahh...Christmas,what a beautiful season.Lovely card,love your dimension technique.I'll have to try it.Thanks for the video. Merry and Bright, indeed!!! Love your colorful and festive card. Those glossy ornaments are gorgeous! !